SonoSite began when the United States Department of Defense awarded a DARPA1 grant to SonoSite’s parent company, ATL Ultrasound. The mission from the government was clear: Create an ultrasound machine portable and rugged enough to be carried into battle and brought to a trauma patient's side. 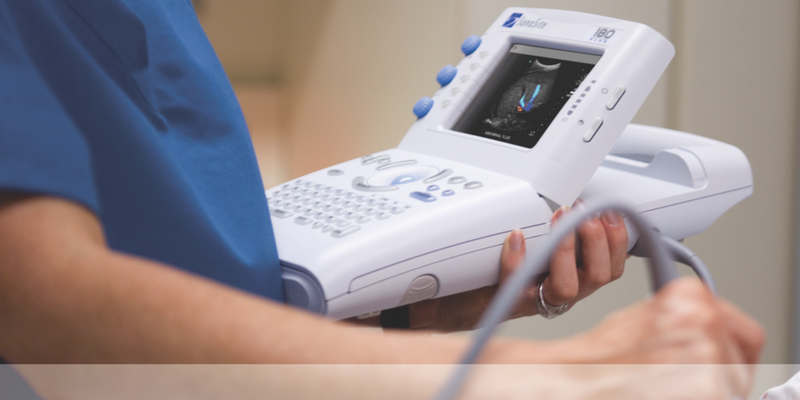 It took over a decade of expertise in leveraging digital ultrasound and integrated circuit technology to complete the project, but the result was SonoSite’s first point-of-care ultrasound machine—the SonoSite 180. Brought to market in 1998, the SonoSite 180 represented a major step forward in technology and a revolutionary approach to healthcare. For the first time clinicians had a tool that made bringing ultrasound to any patient, anywhere, at anytime, a possibility. Watch Fujifilm SonoSite's Chief Medical Officer explain what the early days of point-of-care ultrasound were like and how having a machine at the bedside changed the course of patient care. By the early 2000s, the team at SonoSite knew that portable and reliable ultrasound systems could save lives around the world. 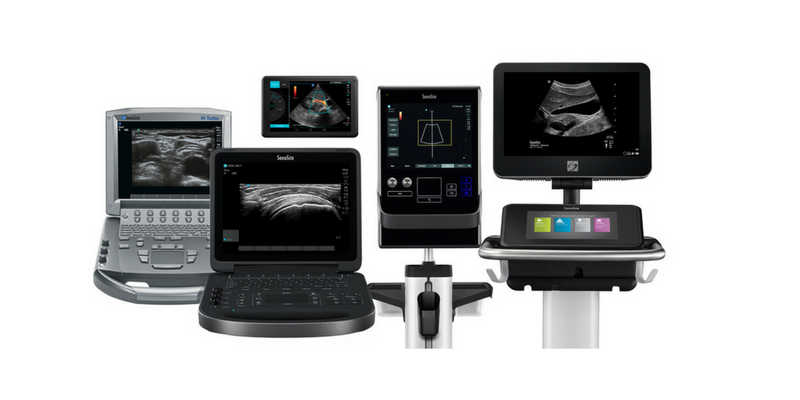 By partnering with clinicians to understand their unique needs, the SonoSite team developed innovative ultrasound systems like the MicroMaxx, NanoMaxx, M-Turbo, and S-Series. These systems didn't just win industry awards, they revolutionized the healthcare landscape by helping physicians and hospitals improve the patient experience, creating the market for point-of-care ultrasound in the process. Since the company’s pioneering days, SonoSite has pushed a progressive product line, educational programs, and advocacy for a broader understanding of ultrasound’s many benefits. This led to SonoSite not only defining the point-of-care ultrasound market, but becoming the most adopted and considered point-of-care ultrasound brand as well. In 1936, FUJIFILM launched its healthcare business with X-ray film2. The goal back then was the same as it is now: Improve outcomes for patient care. In 2012, SonoSite became a wholly owned subsidiary of FUJIFILM and joined the visionary healthcare companies that make up the Fujifilm Healthcare portfolio and in 2017, Fujifilm SonoSite celebrated its 100,000th system installed worldwide and remains focused on the same mission that started the company: Helping clinicians bring ultrasound to any patient, anywhere, anytime. Why do more clinicians prefer SonoSite ultrasound systems than any other brand? Contact us online and a SonoSite ultrasound expert will be in touch for a consultation, in-person or virtual demo of any of our ultrasound systems. 2. 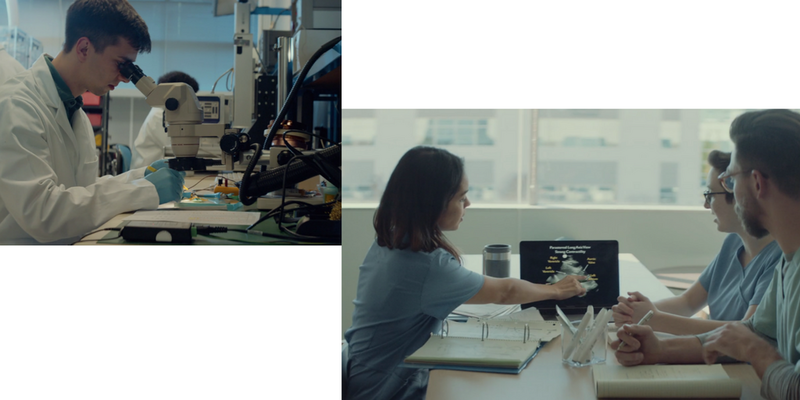 FUJIFILM's steps in the development of X-ray film started in 1936, and later advances in imaging film and archiving film set the course for a long line of breakthrough technologies.